Christmas lights either, I am way too lazy. but I LOVE IT!!!! Sometimes less is more!! come back soon to visit. Love it Christine. I have a star like that....cannot find it anywhere. I do love natural all the time. Your home is absolutely beautiful! 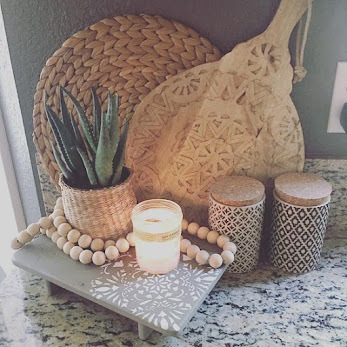 I love all of the natural elements you used throughout. Thank you for sharing it with us! Hi Christine! I just love your home and your Christmas decorations are gorgeous! I especially love the cocoa and cookie station :) So happy to be part of the home tour with you! SO pretty, Christine!! You did a beautiful job, your home is LOVELY! I didn't do any Christmas lights this year; so sad! My hubby is not a fan of putting them up. Bummer! 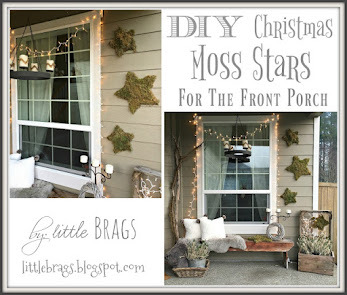 I love those IKEA stars! LOVE, LOVE, LOVE it! Everything looks SO cozy and beautiful!!! Hey there Christine…your home and Christmas tour are beautiful! I hope that my home looks half as good as your when I post tomorrow! Love your love your hot cocoa station! Everything looks so pretty and fresh! I love all the natural elements... the sprigs of greenery and red apples...so beautiful. I always love your porch vignettes. Your home is so lovely Christine, as always! I love all the fresh evergreens tucked in so many fun places! Your dining room light with the apples and greenery looks beautiful! 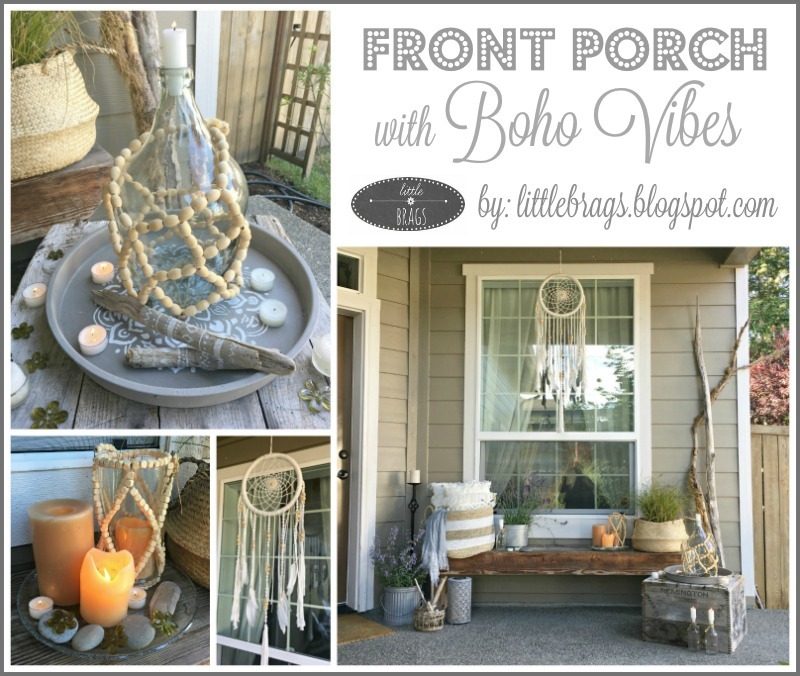 And one of my favorites is always your front porch! Thanks so much for joining this tour Christine! It means a lot to have you a part of it! Your home is just holiday perfect Christine!!!!! I love the apples and of course, love those IKEA stars you have all over! I am sure your holidays will be a very happy one! Your home looks lovely, Christine - so inviting and warm! 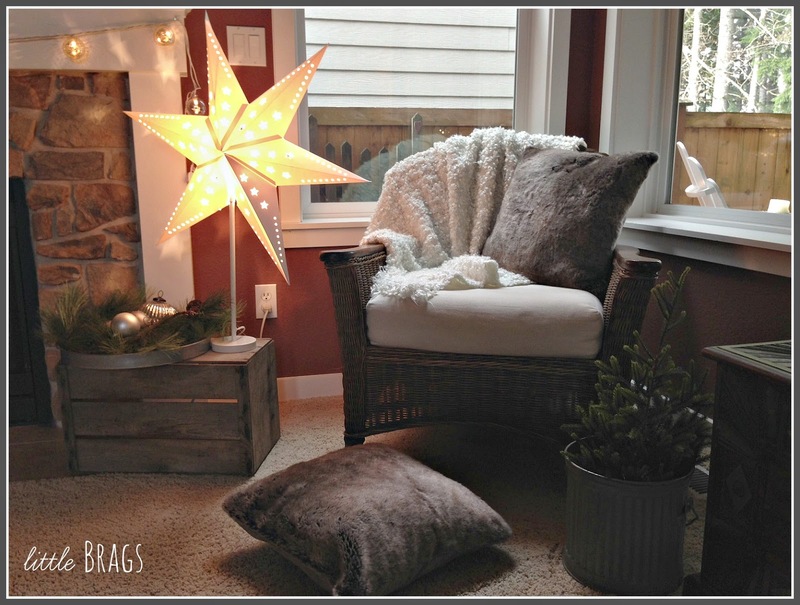 I love the fresh greenery, Ikea stars, and those comfy, cozy pillows and throws! 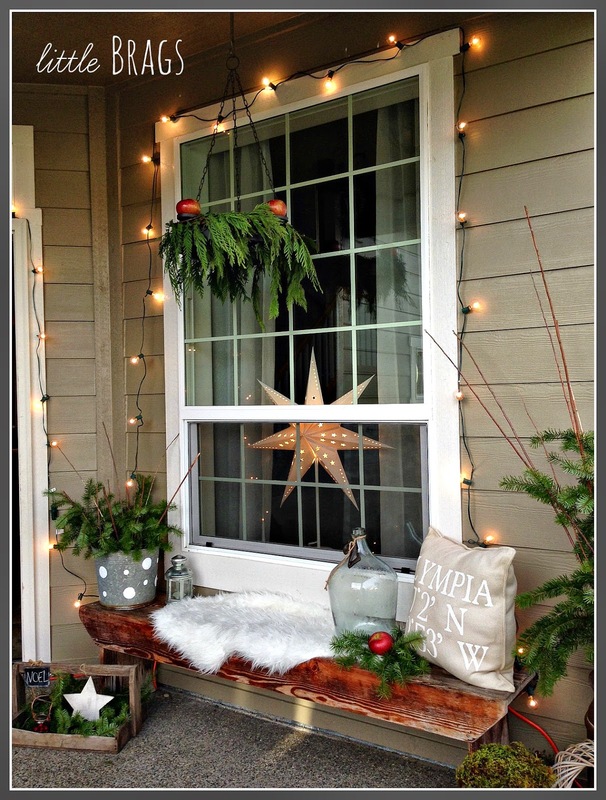 I always look forward to seeing your seasonal porches - such a treat! Beautiful home! I'm so jealous of your Ikea stars. I bought one last year and it tore when I put it together this year. Ikea is a 5 hour drive from me, so I don't think I'll get another one this year. :( But they look great in your home. Awesome job! Your home is beautiful! I'm loving that reindeer pallet art too! Its perfect!! Alot of simple, woodland kinda decorating going on this year and I just love it! Thanks for sharing,,,,I purchased some items from Ikea this year as well, but I think I will have to look for those stars. Very nice touch at night time for sure. The cookie tray looks delicious! So many lovely touches - love the natural and neutral - the Ikea star is perfect, and the shiney red apples a lovely touch. Visiting for the first time, but not the last! Hi from N Ireland. I love your home! It looks like we have the same style because you style of home is the style I want for my next home. Also, I wanted those stars so bad from Ikea. When I went there I saw them first thing and told my husband I had to have one, or two, or three. hahaha. When I got to check out I couldn't find them anywhere. So I asked and they said that they were all sold out. I almost cried right there. I love them! 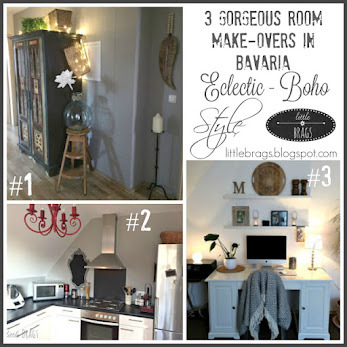 You use them perfectly and I am kind of jealous, but happy that they are so beautiful in your house! Your home looks so pretty and festive with all of the natural Christmas decor. Love, love the bright star in the window! So wonderfully cozy and festive! 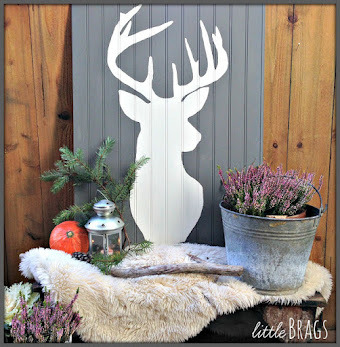 I adore the deer pallet art in your kitchen!! LOVE your porch so much! Love that you took night time photos too! See you on the hop! Your porch is so inviting! I love that star in the window. Lovely tour! Your home is so inviting! Love all of the rustic charm! Christine, you did a beautiful job of using nature, keeping it simple but so very cheerful! Your front porch is so inviting! Your holiday decor is so pretty and festive. Love it. You've done a wonderful job. 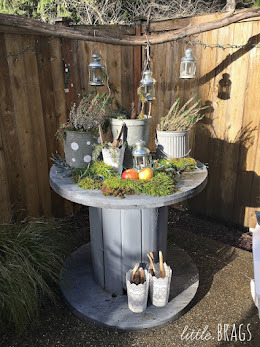 I went bright and shiny this year, but I am loving how yours is with so many natural elements from nature. That stained piece of wood with the deer in your kitchen is lovely. What a nice tough with the mittens on the candles... and, I was ooh'ing and ahh'ing over your front porch. I am in the Christmas Home Tour, too, Wednesdays group! 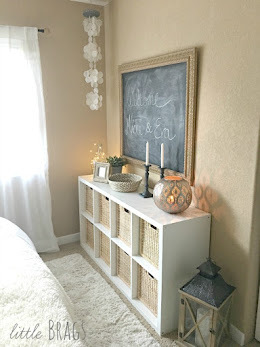 Your simple decorating goes perfect with your decorating style....which I love. The colors are so soothing. Less is definitely more a lot of the time. I have to stop myself from adding, adding, adding! du hast alles ganz liebevoll dekorert. Die vielen kleinen Details sprechen für sich. Ich mag dieses Jahr nur sehr sehr wenig Weihnachtsdeko. Die nächste Woche werde ich noch einige Aufträge abarbeiten und dann beginnt auch für mich die besinnliche Zeit. 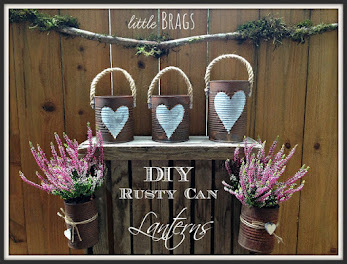 I really love all your rustic touches!! Your home looks so beautiful. 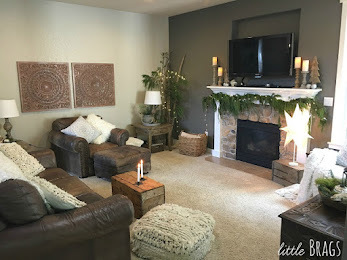 It seems to be a theme this year to go rustic.....I've noticed a lot of home tours doing a similar thing. I love it so it is nice seing everyone's different ideas. Thank you for sharing your beautiful Christmas home tour with us at Pin Worthy Wednesday! Pinned! Such beautiful decorating! 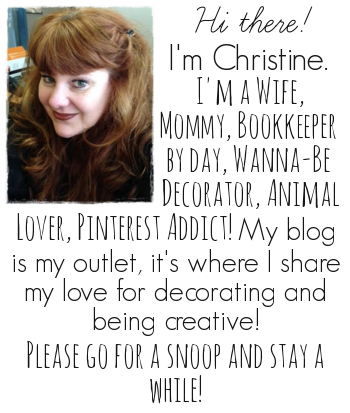 Thank you for sharing with the Clever Chicks Blog Hop! I hope you’ll join us again next week! Gorgeous! Thanks for letting us in your home on Show Me Saturday! Christine, I love the natural feel of your Christmas décor you little thief you. lol! Wish I had a woods in my back yard. I love the Ikea lights and your table chandy has always been a favorite of mine. Thanks so much for sharing your lovely home with Creating Christmas! You've done a fantastic job spreading Christmas through your house. Can I sit an enjoy some of those cookies with you? :) Thanks for sharing this with us at Your Turn to Shine! I love how you used the tree branches through out your decor. 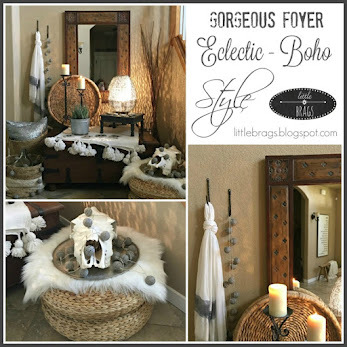 Thanks for linking up to On Display Thursday! All your Christmas touches look so warm and inviting. Thank you for joining THT! Just beautiful Christine! Thank you for linking with HSH! Have a very Merry Christmas! You did such a great job!! And, um, your exterior?! What a cute house!! Totally the kind I would snap a picture of with my phone out of my car window while sitting at a stoplight. Wait, do other people do that? Thanks so much for sharing this at the Found & Foraged party! Hi Christine, I will be sharing this on my blog today. Merry Christmas! You have a lovely home Christine! Thanks for sharing! Have a wonderful Christmas and a Happy New Year! Lovely--thanks for sharing it! Pinned to the Pretty Preppy Board (and thanks for linking up! ).